With the daily cleaning of counter tops, hobs and sinks our sponges and cloths in the kitchen tend to have a very short life span. And that is not even talking about the build up of germs, which makes them smell like something out of this world! 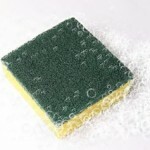 Do you want to leave your kitchen sponges and brushes clean and ready to use the following day? Then put them on the top rack of your dishwasher when you run it. You will see the difference! 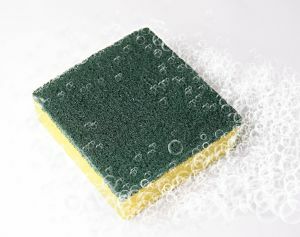 This entry was posted in How to..., Uncategorized and tagged cleaning tips, how to clean sponges, wash cloths, wash sponges on 13/01/2012 by admin. With so many vacuums available on the market it is always difficult to decide which is the best one for your needs. If we then need to decide between an upright vacuum or a canister then things get more complicated. Both of them have pros and cons and asking yourself simple questions such as: do I have hard to reach points in my house that need to be vacuumed? or Am I strong enough to carry the vacuum around the house? will help you choose the correct one. What are the positive points of an upright vacuum? – People who have difficulty bending over to use the vacuum will find the upright vacuums quite useful. – An upright bag will hold more debris than a canister bag. What are the negative points of an upright vacuum? – These vacuums are less able to reach corners, underneath upholstery and tight places. – An upright vacuum will take more space on the cupboard, which some people may find annoying. – It is a heavy vacuum, so it can be a mission to take it up and down the stairs. What about the pros of a canister vacuum? 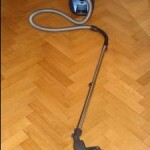 – These vacuum are quite compact and generally light weight (useful when you have to carry it around the house). – Space storage: canister vacuums are smaller than upright vacuums, so it is easier to find a place to “hide” it when the job is done. And the negatives of a canister vacuum? – There is actually a lot of people complaining about damages on furniture legs or skirting boards as you pull the vacuum around, not to mention the damages on our selves (that is, Achilles tendon and so on). When buying a new vacuum, you have to assess your needs and/or preferences. Both types of vacuum can be good as long as they are used appropriately. If only the dust would disappear with a tweak of the nose! This entry was posted in Uncategorized on 08/11/2011 by admin. The best thing to use on these situations would be a pumice stone. First you will need to clean the tub or toilet with soap and water, just to make sure there is no grime left on the area. Then use a pumice stone (soaked in hot water) and scrub the rusted area. Rinse thoroughly afterwards. 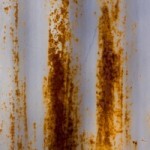 Stainless steel should never rust, unless it has been left dirty or wet for too long. On this case the best thing to do is to scrub the area with a sponge and soap and try to keep it dry to prevent from happening again. This entry was posted in Uncategorized on 16/08/2011 by admin. 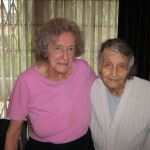 Amy Cleaning is proud to help a number of elderly and disabled clients in and around the London area. We provide cleaners without any agency fee to them which includes finding a vetted and insured cleaner for them each week and cover for holidays and sickness. This is a great help to these clients who find it hard to clean and maintain their properties themselves. 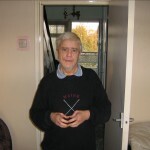 This entry was posted in Amy Charity and tagged Amy Charity, amy cleaning agency on 13/11/2009 by admin.